The Political Science textbook "Towards a Science of States: their Evolution and Properties"
James N. Druckman, Northwestern University: "This is a book that will teach students and citizens about how the state works. The book covers nearly all forms of states – something virtually no other book does. It is a must read." Mark N. Franklin, European University Institute: "This wonderful book is written as a textbook but actually it is a work of theory - social science theory - regarding the nature of the state in history and in the modern world. It is about how states come into being, and why (and why there has, in the course of history, more often been anarchy). It is also about why states are of different kinds and how those kinds of state come into being and evolve into states of different kinds. I should stress that, although world history provides the data supporting the ideas put forward in this book, this is not a history book. It presents a first class and cutting edge social science analysis of the nature of the state and how it works - a modern day "The Prince"." Donald L. Horowitz, Duke University: "Moberg's [book] is a richly theorized, exceedingly ambitious study that brings us back to fundamentals. The reader looking for a sophisticated treatment of the nature of the state and of the variety of regime types will be richly rewarded." Otmar Höll, Österreichisches Institut für Internationale Politik: "In our rapidly changing global environment, reflecting more on “Statehood” in a comprehensive, evolutionary, and comparative way is badly needed. This holds especially true in my discipline of International Relations. 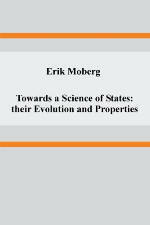 The introductory text of Erik Moberg provides an excellent overview that addresses the historic roots as well as the current differences of States in various parts of our real world. In bringing together ideas, theories and reality the book advances our understanding of Statehood in the international system of the 21st century." Jonah Levy, University of California, Berkeley: "Moberg analyzes the concept of the state and its emergence and evolution over time. Perhaps of greatest value is his comparison of different kinds of states or political regimes: dictatorships, direct democracies, oligarchies, representative democracies, and situations of statelessness. Informative and clearly written, Moberg's book offers a useful primer for students and lay readers looking to familiarize themselves with the basic attributes and varieties of forms that states can take."